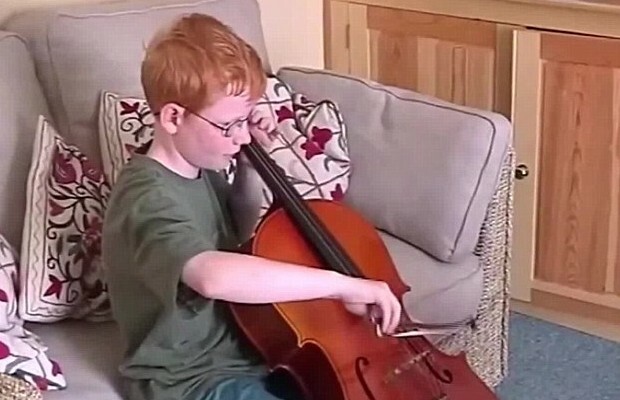 Sheeran sang in a local church choir from the age of four, learned to play the guitar at a very young age during his time at Rishworth School,and began writing songs while at Thomas Mills High School in Framlingham. When he was eleven, he went with his father to a Damien Rice show in Ireland. In addition to Rice, he has also cited The Beatles, Dylan, Nizlopi and Eminem as his biggest musical influences. He is a patron of the Youth Music Theatre UK and of Access to Music, where he studied Artist Development course. He was accepted at the National Youth Theatre in London as a teenager. Sheeran is a second cousin of broadcaster Gordon Burns, who hosted the British game show The Krypton Factor.